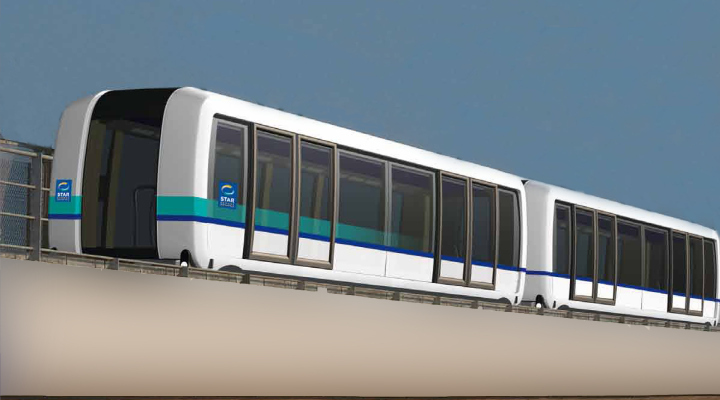 The light metro line will have 15 stations over 12.6 kilometres of track, crossing the Rennes urban area from south-west to north-east, mostly in underground tunnels. Two stations, Sainte-Anne and Gares, will connect up with Line A. Commissioning of Line B is scheduled for the end of year 2019. For this turnkey project, Siemens will carry out all the system engineering and project management. It will supply 19 Cityval rubber-tire trains, the radio communication system, the Central Control Station, passenger information, on-board CCTV, platform screen doors, the track, and the depot facilities. The supplier will also provide preparatory services relating to operating and maintaining the system. These include employee training, instructions, spare parts and documentation.The trains, initially composed of two interconnected cars, will have dynamic displays, real-time information systems, on-board CCTV and a secure radio link. Siemens also developed the first automated metro line in Rennes, Line A, commissioned in 2002.